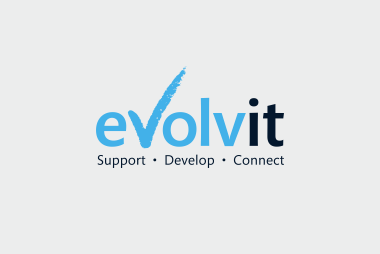 YOU ARE HERE: Home » Support Guides » Evolvit Support » Tape Backups, Is the end near? We always go away and produce a report, with a breakdown of ideas, costs and timescales of implementation. Over the last twelve months, a common theme has become very obvious in nearly every business we have walked into. Tape Backups, Yes that small little system that is meant to protect your entire business should the worst happen and your private data is stolen or lost. What we find amazing is the advice most people are given regarding what their Tape system is going to do for them. ‘It’s amazingly fast’ ‘Backs up in only a few hours’ ‘Fits neatly in my bag’ ‘backups are automatic’ are just a few very worrying terms we come across. What the reality is – is very very different. Sequential backups on Tape can be very fast to perform, with modern drives sometimes waiting on the system to provide data. 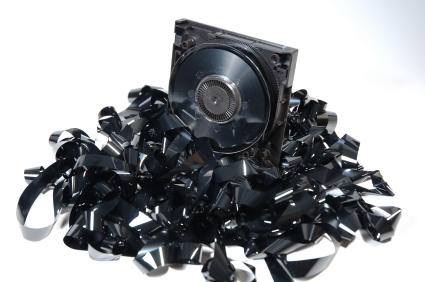 However, restoration from Tape is not fast, finding a single file can take as long as restoring absolutely everything. This makes Tapes a complete disaster for that single file restore – and the single file restore is what 99% of backups are used for. Tapes also have a shelf life, all that Tape being stretched in and out every day leads to breaks and Tape failures. It’s recommended to replace Tapes every year. (Different models have different periods) However most people don’t – and you know when that tape will break, the day you need that all important data. So what has changed? Quite simply disk storage size, cost and portability. You can now purchase Terabytes of data storage on portable external USB drives. These are not only fast, but have random access for almost instant file restoration. All the normal tools for encrypting the backups, automating and reporting stay the same. But you now have a cheap, fast reliable system in place of the Tape. 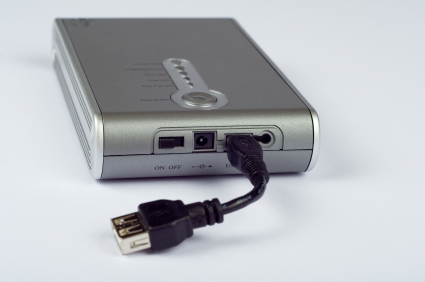 The argument for small to medium-sized business to stay on Tape backup has come to an end. If you would like any advice regarding your backup system, please Contact us for a no-obligation discussion.